is a solution built over Microsoft CRM Online (MSCRMOL.) It serves the Real Estate Business, helping it run smoothly and achieve its long term business targets. The solution handles all departments of a Real Estate Business. It manages the whole process from the blue print plans, units’ sale life cycle, and construction projects all the way to the units’ maintenance, field service and customer service. 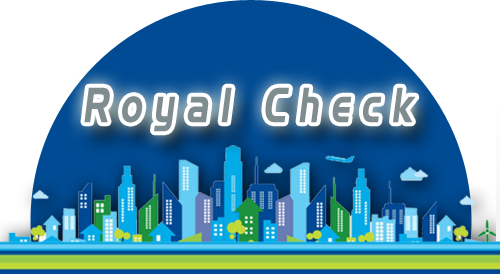 Royal Check has 3 significant features. Jump Starting There are several configurations and customizations that are embedded in the solution to enable the user to be up and running in few weeks and in some cases days. This has a huge positive effect. This enables IT and Business users to have a “Ready” solution that hits the ground running. There is a touch of industry experience and hands-on involvement of industry experts in the fabric of the solution. The solution has industry standards and practices built-in, which makes it ready to fit directly in the business processes of the organization. Ease of Use Thanks to the flexibility of MSCRMOL and the familiarity of Office 365 and other Microsoft tools, it is easy to use when compared to other solutions. Clearly this would lead to shorter training cycles, quicker adoption and less resistance within the organization. Flexibility to Extend This cloud solution is flexible to extend. Not only by the vendor, but also by the customer’s team. This resonates well with the IT department because it gives it the ability to have full control. It is also in tune with the business leader, and his/her need to change operations regularly, based on the market and its continuous changes. Royal Check, in the final analysis, is a solution that is ready and flexible. You can adopt it today and have an edge over competition. One final thing… The word “Real” in “Real Estate” historically comes from the word “Royal”... “Royal Check”!